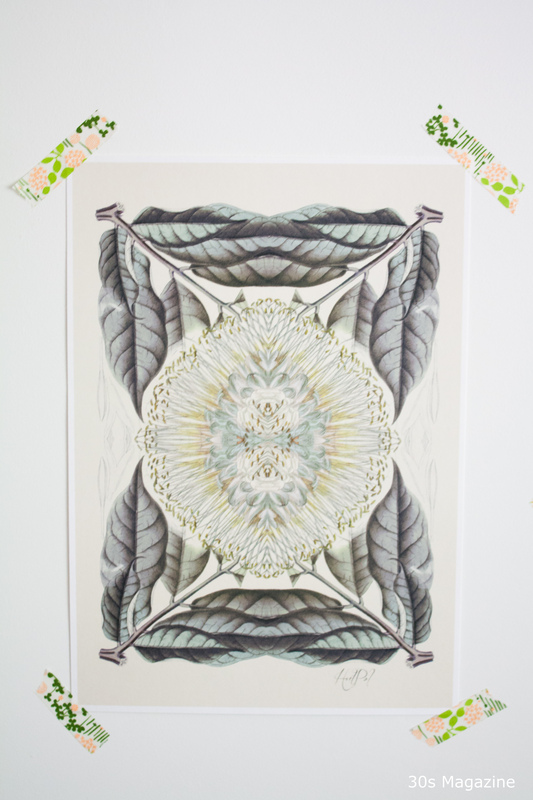 The second botanical print is an original print from the Hemp Museum Amsterdam Collection reproduced on fine hemp paper. 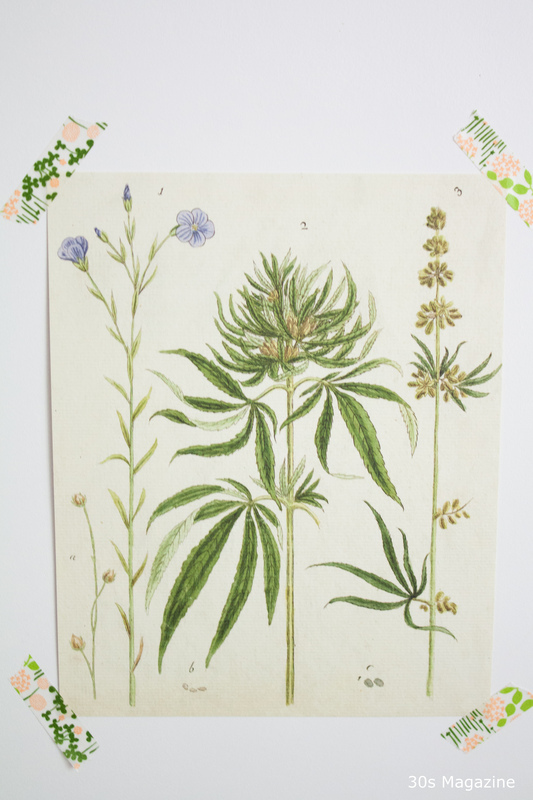 Hemp usually evokes a negative connotation as people relate it to drug use. But in fact, it has been a medicinal plant for ages, and has nourishing as well as healing properties when used correctly. 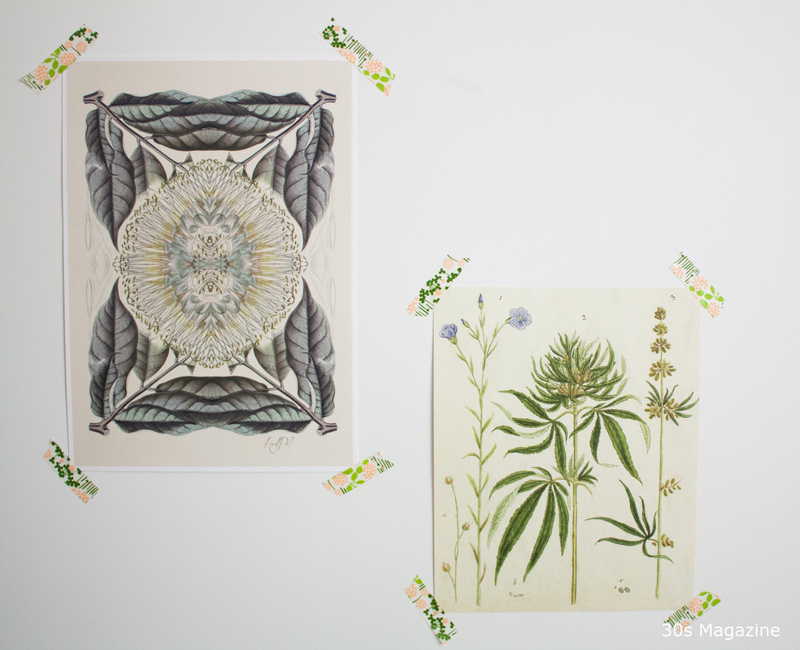 Did you even know you can make hemp yarn and paper? There is so much to know and learn about this plant. I still have to find nice frames for the two prints. For now they are on the wall with washi tape. And since I don’t have a green thumb, they are my green plants in my home decor that will never wither. 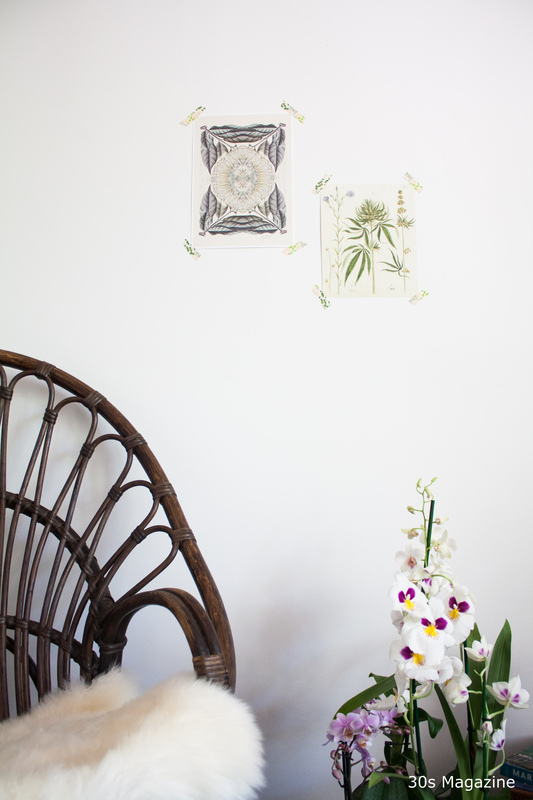 Haha true, this botanical art won’t wither, perfect if you travel a lot too! 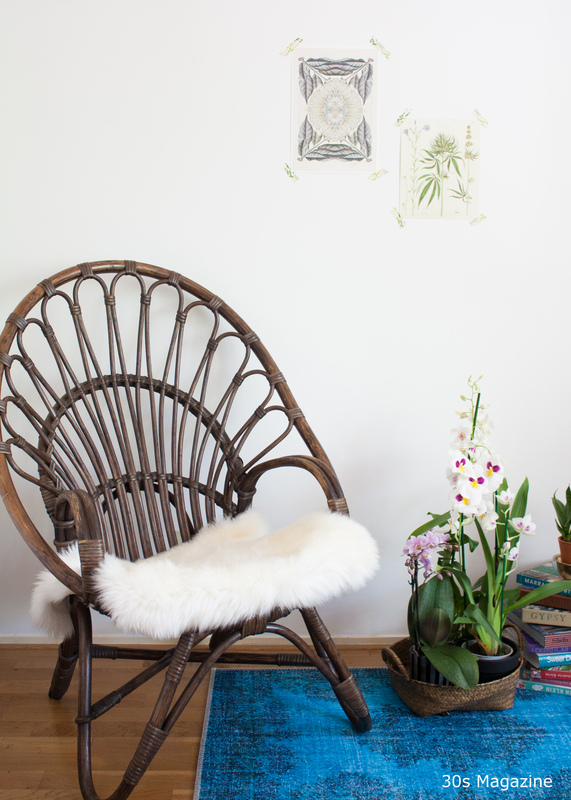 But I’m sure you can keep your orchids alive, Louise. They seem to be in great shape!